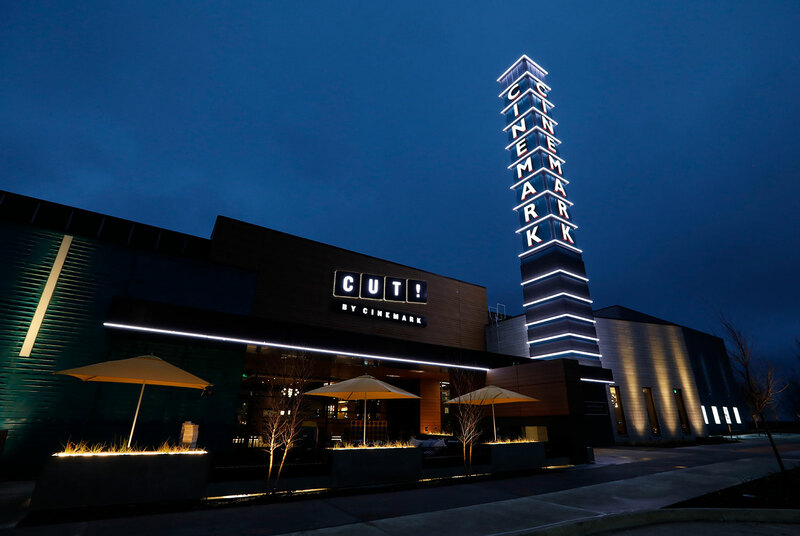 I Didn’t Know How Important Heated Seats Were To The Movie-Going Experience Until I Went To Frisco To Check Out The First-Ever Location Of Cut! By Cinemark. I’m not an alcoholic, but if I ever wander into a movie theater and see a concession stand that doesn’t serve alcohol, I become suddenly overwhelmed with an urge to promptly leave the premises and find myself one that does. I work two jobs and put in between 60 and 80 hours a week, and as such, any time I have allotted for relaxation is precious to me. Working five or six days a week in a fast-paced environment, you tend to develop a full grasp on just how rapidly your downtime is fleeting. And when downtime presents itself, you usually become pretty determined to make the most of it. Basically, if I’m spending $10 or more on a movie ticket and am voluntarily subjecting myself to the temporary rule of a micro-economy that engages in petty variations of price gouging, I better be signing that social contract in exchange for leather recliners, hearty meals and a full-service bar. Any level of service at a movie theater that falls even an iota short of meeting those expectations is just downright insulting to my most basic level of human dignity. You might as well just pour dry food into a trough and serve me water from a garden hose if your efforts at customer service are going to plummet below the bare minimum. Does saying that make me sound entitled and ornery? Absolutely it does! But for good reason. Alamo Drafthouse already has six locations throughout the region, with a seventh coming soon to Frisco. Studio Movie Grill, which follows a similar model has nine locations around the area. Movie Tavern, another chain in this space, has four homes in the Dallas-area. Cinema juggernauts AMC and the Plano-based Cinemark have clearly read the writing on the wall, noticing that the marketplace is filled to the brim with miserly, importunate consumers such as Yours Truly. And they seem to understand now that, if they were to adhere to the conventional business models of yesteryear, they’ll be left out in the dust. 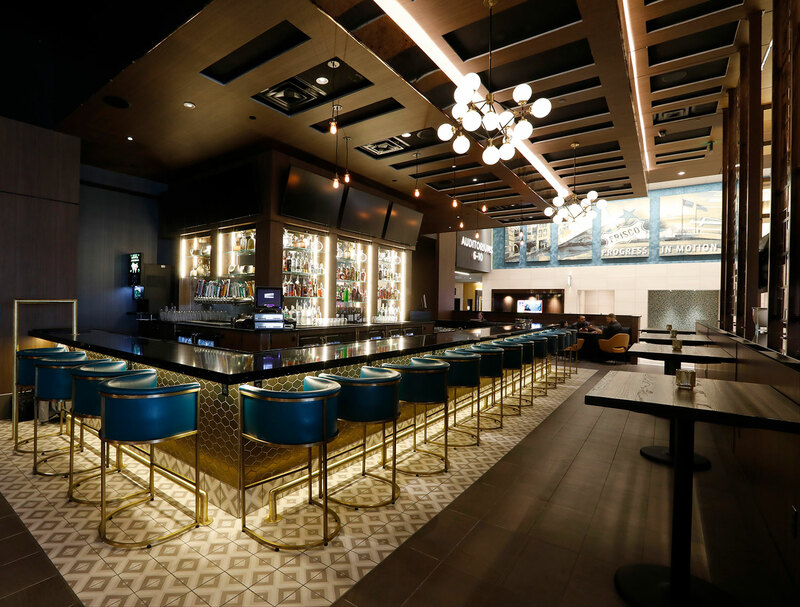 If you’ve been to a theater operated by either of those companies lately, you may have already noticed how quickly they’ve adapted to the evolving landscape by constructing bars with adequate, albeit rudimentary beer and liquor selections. 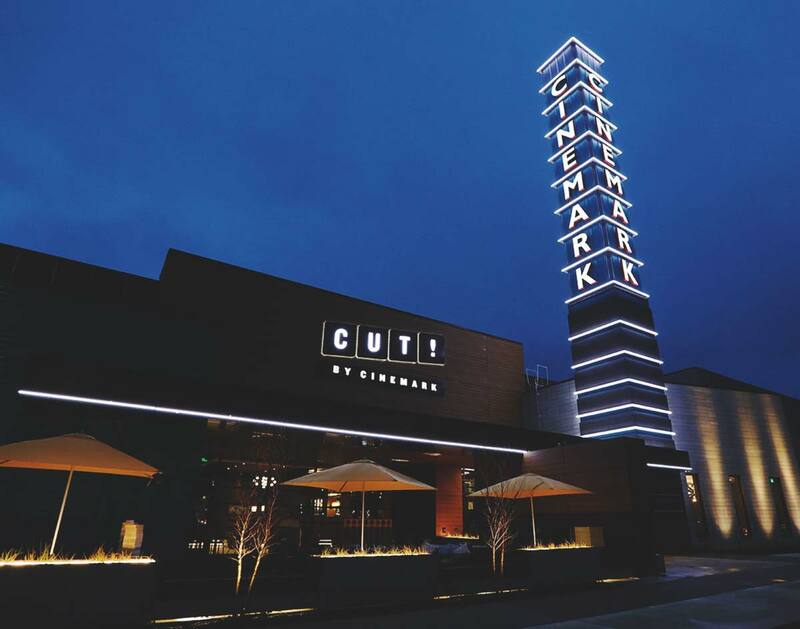 But now Cinemark is assuring us that those days will soon be in the past: Recently, the company started to further elevate its customer experiences with the introduction of a new model called Cut! by Cinemark. Photo courtesy of Cut! by Cinemark. 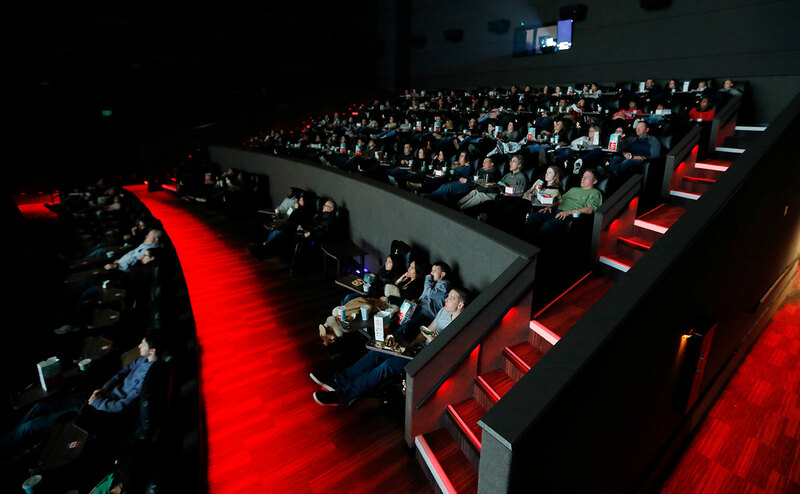 Earlier this month, in the northern Dallas suburb of Frisco, Cinemark officially opened the doors on its first such effort, which is hopes to use as a guinea pig for proving (and improving upon) its new vision. As the same cynic who just semi-jestingly railed against the traditional business model of an American movie theater a mere handful of paragraphs ago, I am happy to report that Cut! is indeed a game-changer — and a brand I hope to see more locations from in the future. Directly behind the ticket booth at the Cut! in Frisco lies a full-service bar that places emphasis on cocktails. 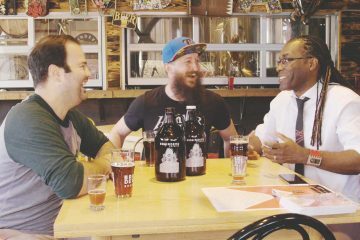 The powers that be here should have known that craft beer is the “it” thing of the day, and that they could have maybe gotten more than just eight beers on tap, improving the selection to where Lagunitas IPA wasn’t the most premium brew — but no biggie. 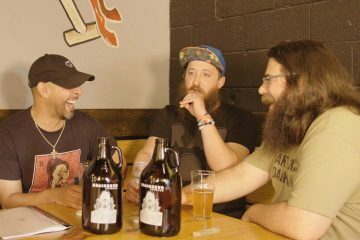 After all, Alamo Drafthouse has cornered the market in being a beer-intensive luxury theater, and Cut! is trying to establish a core competency in focusing its energy onto cocktails. Premium cocktails are an amenity this spot takes immense pride in too, as evidenced by the pre-screening ad campaigns that place special emphasis on it. So, instead of further scrutinizing the beer selection, I decided to order a truffletini on my recent visit. It didn’t disappoint. The bartender that served me put together a perfect flavored martini for my enjoyment, including just the right proportions of Bailey’s and vanilla vodka, and managing to nail the presentation of the drink while working at a fast pace. It was strong enough to taste distinctive from a virgin chocolate beverage, but also sweet enough for those who need the taste of alcohol to be masked. I obviously didn’t order and sample every beverage on the menu in the name of journalism, but if Cut! can get a truffletini right, it’s safe to assume that everything else on the menu is also probably up to snuff. 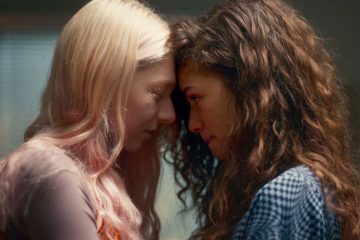 As I finished my drink, I made my way to the theater to see Captain Marvel (check out our review of Marvel’s latest right here), and as I was sitting down, I noticed a significant failure on the part of every cinema competing with Cut! See, those other brands don’t have heated seats in their theaters. Of course, my go-to Studio Movie Grill in The Colony doesn’t even have seats that move back two inches, never mind seats that recline like a La-Z-Boy. 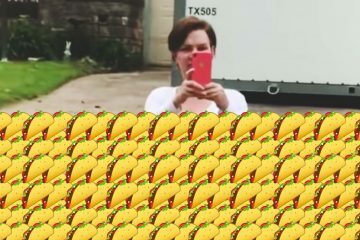 But here Cut! is, going the extra mile by giving us something I didn’t even realize I needed until I experienced it myself. On the food front, just as the movie started, I ordered a chicken sandwich with pickles and chipotle mayo, served with a side of rosemary fries. It probably wasn’t something that Gordon Ramsay would have praised, but it was nonetheless satisfying and of far better quality than most of the food served at competing area theaters. Maybe not on Alamo Drafthouse’s level, but definitely above Movie Tavern and Studio Movie Grill’s offerings. Not bad considering that I experienced all this not even one week after the theater’s grand opening, which means I also witnessed some expected, if also completely tolerable, growing pains from the company — servers still learning the understandably confusing system that was put in place, a 30- to 45-minute wait time on food, things of that sort. If I had scoured the experience head-to-toe, looking for something to complain about, I’m sure I could have found some. But (and you may not know this about me after having read the first few paragraphs) I’m actually an easygoing person who doesn’t let a few hiccups ruin my mood. Even if I did let the minor kinks dampen the whole experience, though? Well, Cut! 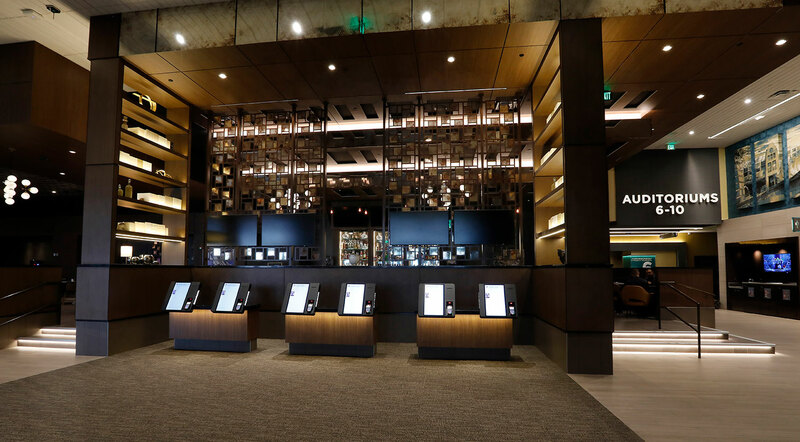 still proves that Cinemark has not only adapted to the volatile changes in the cinema space, but that it has even excelled at incorporating these new elements into its presentation. If anything, they’ve surpassed the high bar with which they were faced. Seriously, I cannot overstate just how amazing the heated seats were. In the future, every theater worth its damn will have those. They’re just so, so great. 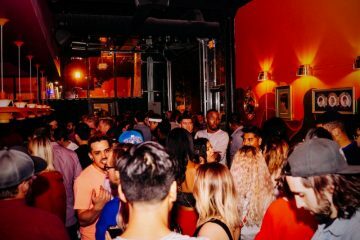 Previous ArticleExclusive: Thin Line Fest Unveils Full 2019 Music Lineup. Next ArticleMeet Iva Rii, The Deaf Dallas Singer Making Waves On Fiverr.